A relatively diverse plant community with a minimum of twenty-two (22) species has been observed in Onota Lake. These twenty-two species include four non-native, invasive species: Eurasian watermilfoil, Curlyleaf Pondweed, European Naiad, and Water Chestnut. Unfortunately, Eurasian watermilfoil and Curlyleaf Pondweed are the dominant species found naturally occurring in the lake. Eurasian watermilfoil is a non-native, exotic species and has been identified as the primary nuisance species of concern at Onota Lake. Eurasion watermilfoil is documented to grow in dense stands throughout the water column and form surface mats when fully grown. It tends to outcompete the native plant assemblage and become the dominant species. Its dense growth interferes with boating as well as fishing, swimming, and aesthetics. Its negative impact has been controlled in recent years by herbicide applications. Other aquatic plants are also found at nuisance levels in Onota Lake. 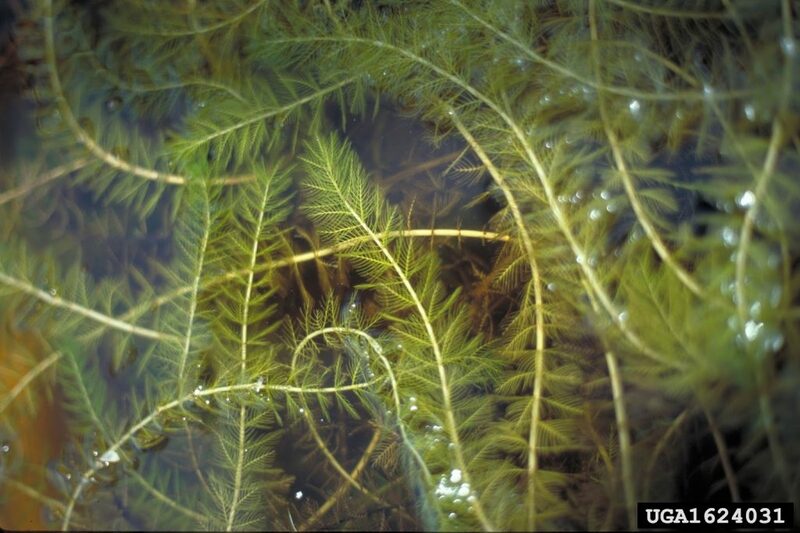 In particular, Curlyleaf Pondweed can become problematic in the early season before dying down naturally in July but is also controlled by the Eurasian watermilfoil treatments. A pioneer infestation of Water Chestnut was discovered in 2003 in an isolated area of the lake north of Dan Casey Causeway and has been controlled by an aggressive program of hand pulling by LOPA volunteers. Efforts to prevent the introductions of other exotic species are desirable and are continuing to be the focus of the city and LOPA.